It is a beautiful week in Kansas City. 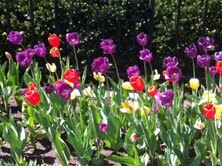 The tulips are in full bloom. Pansies are everywhere, even in a “wishing well”. The trees are starting to bud. 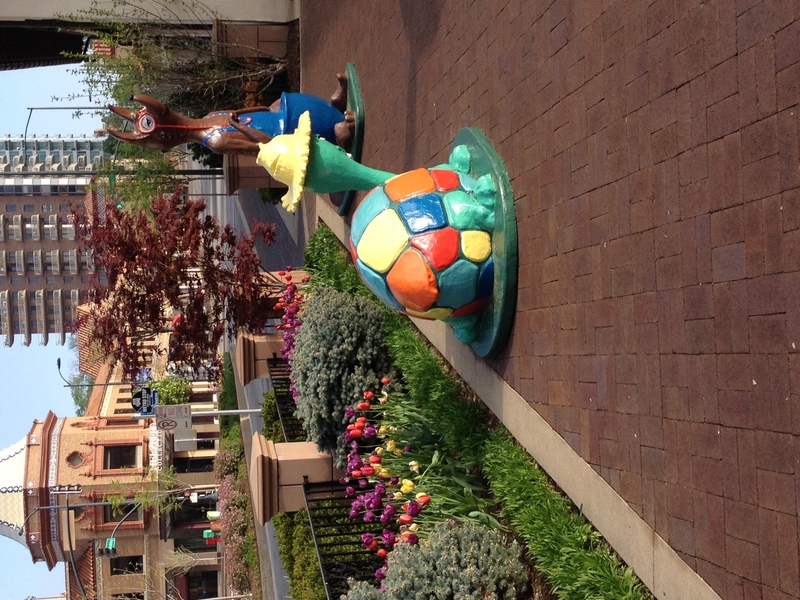 The Plaza is all decked out for Easter, with an oversized rabbit, turtle and other brightly colored animals for children to climb on and be photographed with. Most exciting, the first of the Plaza’s fountains have been turned on. It is our own little bit of heaven. Pomona, an original sculpture by Donatello Gabrielli, is the Roman Goddess of the Earth. She stares out on the Plaza as though aware of our comings and goings. The Plaza is at it’s very best. Ready for tourists and locals alike. 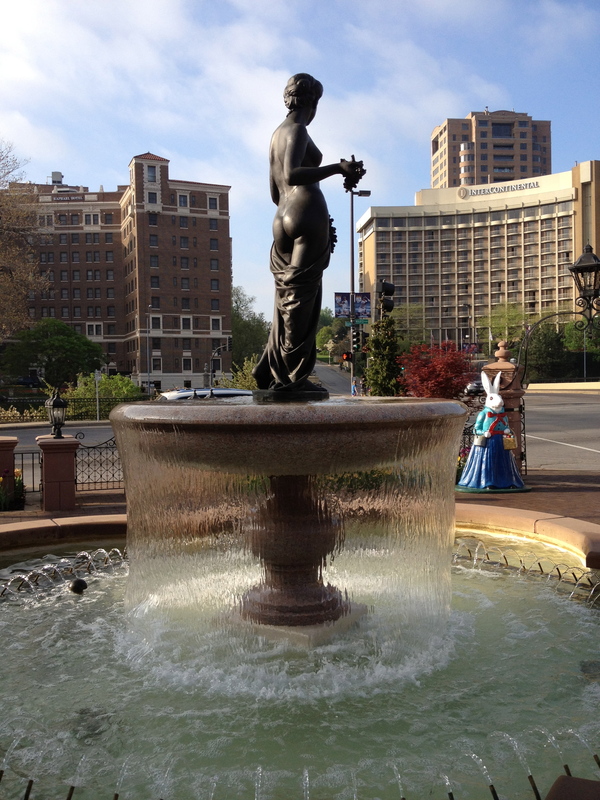 This entry was posted in Community, Travel & Adventure and tagged Country Club Plaza, Donatello Gabrielli, fountains, kansas city, Photography, Pomona, Spring, tulips. Bookmark the permalink. Pomona has always been my favorite fountain, and I have been partial to the big Easter Rabbits since I was a little kid and they towered over me. The ones you show here are new to me. So why didn’t we fit this into our schedule yesterday? Duh.